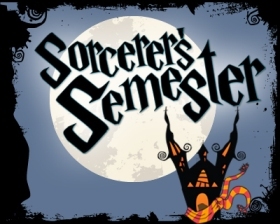 The Library will be wrapping up its Sorcerers’ Semester this Wednesday and Thursday in the library first floor lounge. These final two days of marathon reading will complete the last book in the Harry Potter series, Harry Potter and the Deathly Hallows. Come read a chapter from the book, or just stop by to enjoy the snacks and hear the conclusion of this beloved series. The event will also feature a raffle to win a free Kindle with all 7 of the Harry Potter books pre-loaded onto the device! All students who have read throughout the course of the semester are eligible to win the Kindle, so stop by and read a chapter before Wednesday at 5:00 p.m. when we’ll be doing the drawing. The event runs from 9 a.m. to 6 p.m. on Dec. 5 and Dec. 6.